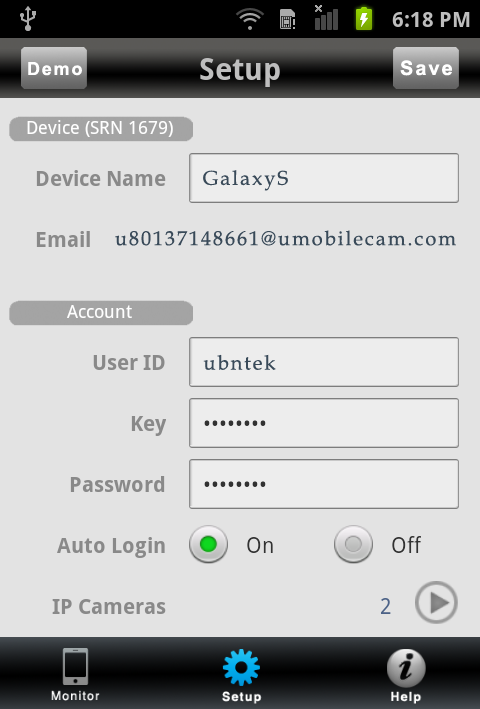 Download "umobilecam Setup Guide All-in-One Mobile Surveillance for Android, ios, Mac, Windows Webcam, IP camera (version 1.0)"
1 umobilecam Setup Guide All-in-One Mobile Surveillance for Android, ios, Mac, Windows Webcam, IP camera (version 1.0) Copyright UBNTEK CO., LTD.
3 This document provides step-by-step instructions for setting up access to this service on your devices, will help you get the better understanding of the umobilecam s key features. This document is subject to changes without notice. The latest electronic version of this document can be downloaded from our official website at 1. 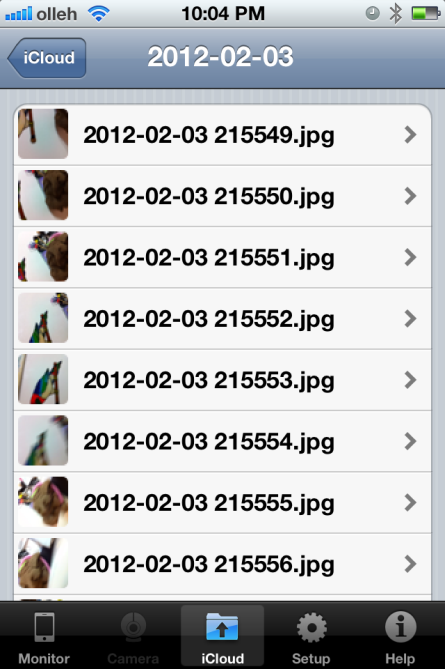 Introduction What did you do with your old iphone and new ipad 2 or ipod Touch 4G? 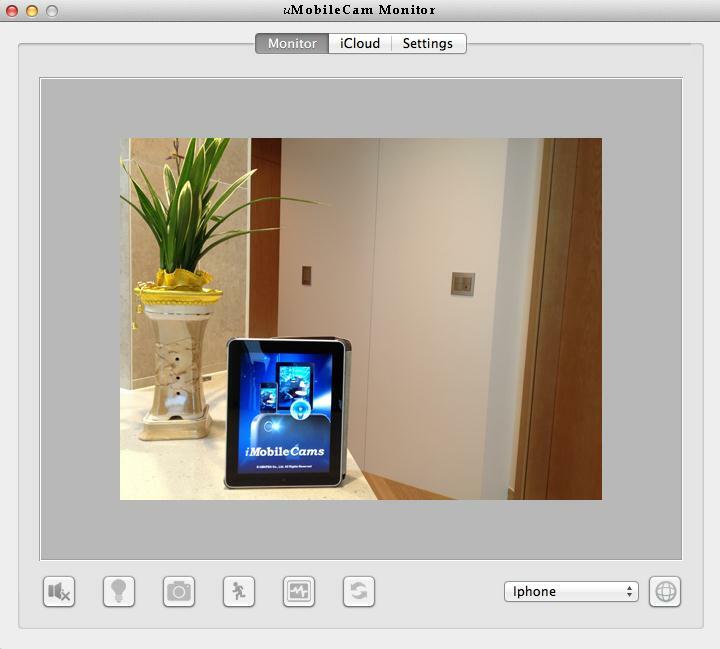 You can use them for mobile camera and baby monitor rather than just having them laying around in one of your tables. 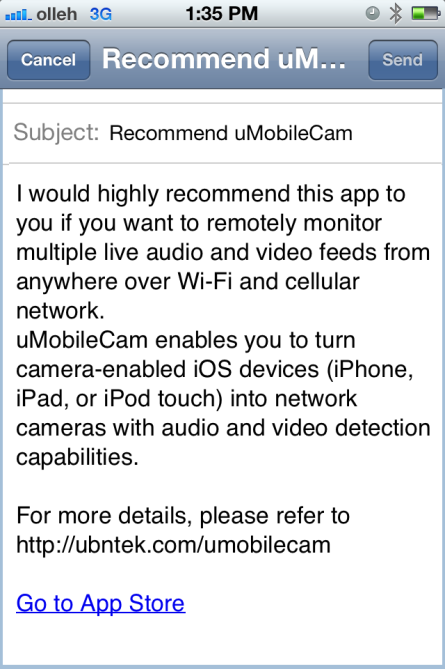 umobilecam enables you to turn camera-enabled ios mobile devices (iphone, ipad, ipod Touch) and built-in/usb camera on Windows and Mac into network cameras with audio and motion detection capabilities. It allows you to listen and watch between mobile devices, and the mobile device live from your PC (Mac/Windows) over Wi-Fi and cellular networks and vice versa, even monitor your network camera with push notification and an incredibly intuitive touch screen user interface for network cameras from anywhere over Wi-Fi and cellular networks. 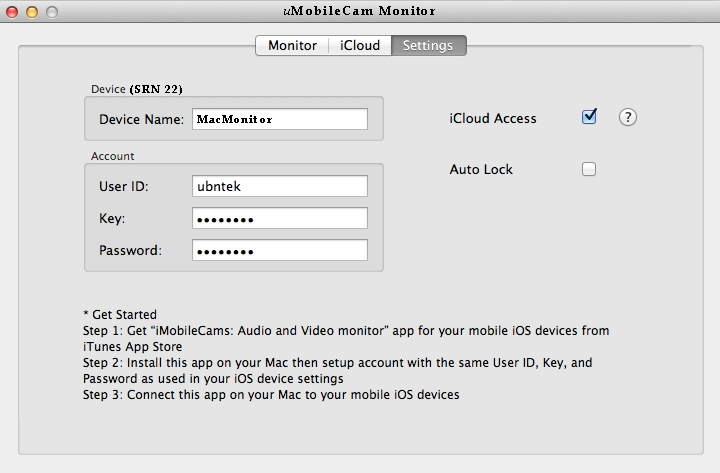 4 Key Features Remotely monitor live video and audio feeds between your ios devices, and the ios device from your computer and vice versa using the same user account Listen and watch from Android phone/tablet to ios device and built-in/usb camera on Mac/Windows PC, and monitor various types of network camera Support different types of network cameras: models from over 80+ manufacturers with various options Up to 8 numbers of devices (Android/iOS mobile devices and Mac/Windows computer) can be configured Unlimited number of network cameras can be configured Directly access to video streams between your devices from anywhere without any third party application No need to open ports or configure router or get static IP or DDNS (except network camera) Secured layer encryption for account authentication (user ID & Key, and Password) Select either the front or back (if available) camera Automatically switch to black home screen for secretly monitoring in the dark room or at night Enable or disable LED Flashlight remotely when the back camera is selected Get motion and audio detection alerts over Push notification Motion and audio detection alerts for mobile device and PC by enabling camera side option With ID, event detection alert for network camera (if applicable) Images event-detected on camera side can be optionally sent to free 5G icloud storage Audio & Motion Detection with adjustable sensitivity up to 3 or 5 levels Snapshots at regular intervals are taken and stored in your icloud storage Easily retrieve images by camera list, event type and date stored in your icloud Optional cellular network alert notification Enable or disable Auto-Lock Take snapshots or share via social network service 2. System Requirements In order to use our version, you will need: Android phone/tablet with Android 2.2 or later iphone, ipod touch, ipad with ios 5.0 or later Mac with OS X Lion or later, and PC with Windows 7 or later Internet connection (through Wi-Fi or 3G/4G) on your devices and network cameras Buy umobilecam in the itunes App Store and the Android Market Free download umobilecam Camera or Monitor from our web Make sure that your webcam and microphone are enabled on your computer Setup your icloud account for ios device if you want to save your images by referring to The app on Mac or Windows which is directly downloaded from our web saves images to only local Pictures folder on your computer. 14 5. 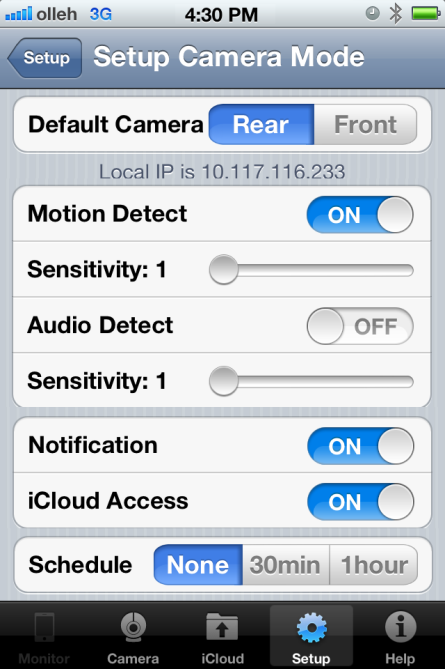 Push Notification with Audio and Motion Detection If you enable motion and/or audio detection in setup on your device and activate motion or audio detection then you will receive alerts on ios device by push notification. 16 6. 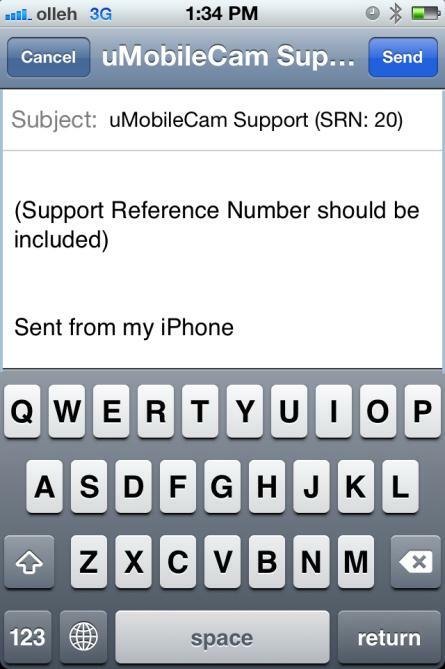 Contact Support Please send an including your SRN (Support Reference Number) to our support team 24 hours a day, 7 days a week. For immediate help with setup and general information, please visit our website If you have any suggestions or other comments, send an to Apple, the Apple logo, Mac, ios, the iphone, ipad, ipod touch, icloud and itunes are trademarks of Apple Inc., registered in the U.S., and other countries. Windows, Windows logo and Windows Mobile are registered trademarks of Microsoft Corporation in the United States and other countries. Google, Google logo and Android are registered trademarks of Google, Inc. olleh is a trademark or registered trademark of KT Corporation. All other trademarks mentioned herein are the property of their respective owners. SmartCam for Android SNH-1011N English With SmartCam app, you can monitor what matters to you directly from your smart phone. Download the application from the Play Store and install it on your smart phone. 1. Smart phone requirements. Hardware / Operating System OS - ios 4.3.5/5.0/6.0/6.1 CPU MHz or higher RAM. Network. Video Codec - H.
SmartCam for ios SNH-1011N English With SmartCam app, you can monitor what matters to you directly from your smart phone. Download the application from the App Store and install it on your smart phone. User Manual Hikvision IP-cameras with built-in Ivideon software Cloud Video Surveillance Table of Contents Ivideon: basic concepts 3 What is Ivideon? 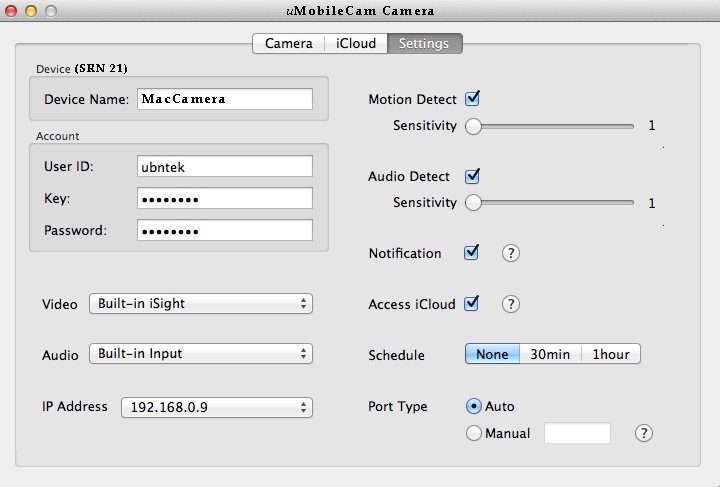 3 What is an IP camera with built-in Ivideon software? ipecs Communicator Installation and Operation Guide Please read this manual carefully before operating your set. Retain it for future reference.